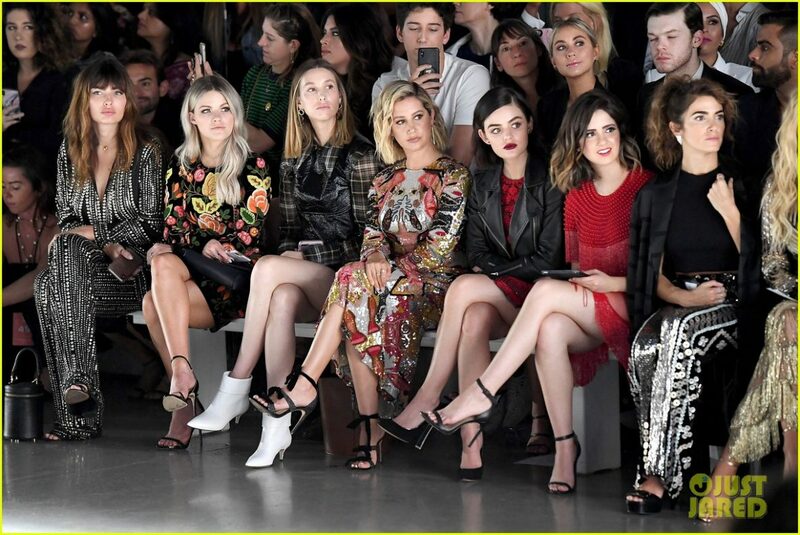 Witney Carson, Whitney Port, Ashley Tisdale, Lucy Hale and Laura Marano watch the models walk the runway at the Naeem Khanrunway show during New York Fashion Week on Tuesday (September 11) in New York City. The fashionable ladies were also joined by Peyton List and Nikki Reed, as well as Milo Manheim who sat in the row behind them. “All the best babes,” Lucy captioned a video on her Instagram Story with Ashley, Laura, and Nikki. In case you missed the exciting news, it was just announced that Milo will be on the upcoming season of Dancing With The Stars with Witney as his pro partner! FYI: Whitney is wearing a Beaufille blouse and dress.